Living… in exile. Dom was forced to flee the United States when his wife, Malorie Cobb, killed herself and implicated him in her death. Dom desperately wants to make his way back to the United States to see his two children, but knows that he’ll be immediately taken to prison. Profession… non-traditional thief. Dom is a world’s premier “extractor” – someone who specializes in infiltrating unconscious minds to steal secrets. This talent makes him incredibly useful in the world of corporate espionage, where Dom is regularly hired to obtain valuable information. Interests… ending his exile and reuniting with his children. Apart from this, Dom has nothing to live for. He drifts through the world, wracked with guilt for his wife’s death and his abandonment of his children. Relationship Status… widowed and grieving. Dom and his wife spent years exploring and forming the bedrock of the dream world called Limbo into their own personal playground. Unfortunately, Dom’s well-intentioned meddling with her unconscious mind led Malorie to lose the ability to discern reality from dreams, eventually committing suicide in a vain effort to “wake up.” Dom is haunted by the memory of his late wife, who appears in his dreams – a huge liability in Dom’s unique line of work. 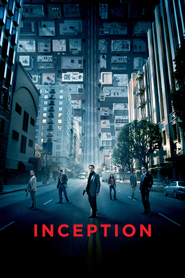 Challenge… pulling off the most difficult kind of job in his field: inception. While Dom is normally tasked with stealing ideas, an influential businessman named Saito approached him with a tantalizing offer. If Dom and his team can incept a competitor’s subconscious mind, Saito will provide Dom safe voyage to America. Unfortunately, successfully planting an idea into someone’s mind requires plunging deeper into the unpredictable world of dreams than most extractors ever go – a task that seems destined to test Dom’s reputation and bring him face to face with the ghosts of his shattered life. Personality… quiet, calm, and collected, Dom radiates quiet charisma. Dom portrays little emotion, preferring to focus on the immediate task at hand. He is currently poised to do battle with his demons – a battle that will either propel him past his wife’s death, or drive him deeper into an abyss of self-loathing. Dom Cobb's popularity ranking on CharacTour is #352 out of 5,000+ characters. See our top-ranked characters and read their profiles.